Let’s transform some figures and see what happens to the coordinates of points. Select all of the translations that take Triangle T to Triangle U. There may be more than one correct answer. 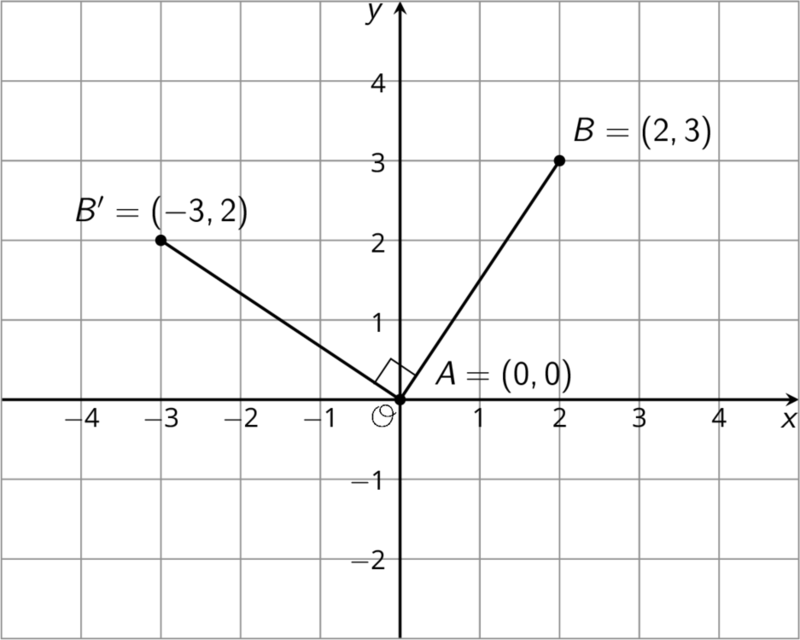 Five points are plotted on the coordinate plane. 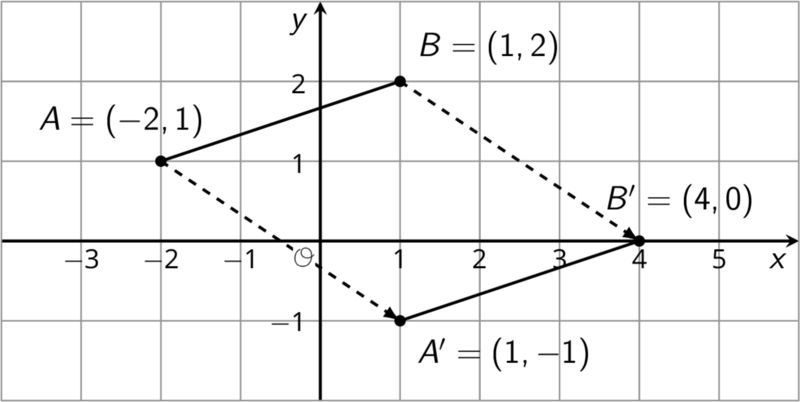 Using the Pen tool or the Text tool, label each with its coordinates. Using the $x$-axis as the line of reflection, plot the image of each point. 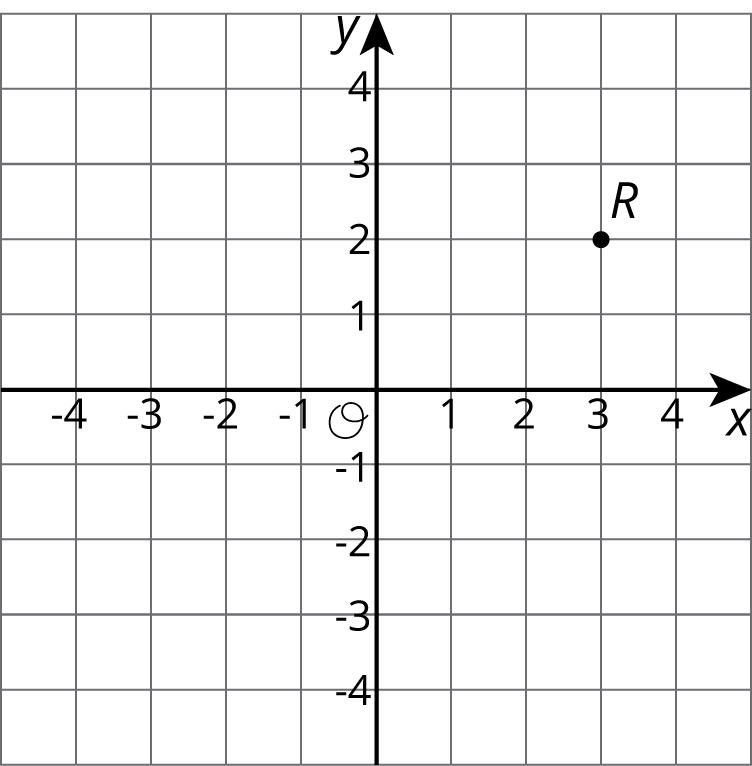 Label the image of each point using a letter. For example, the image of point $A$ should be labeled $A’$. Label each with its coordinates. If the point $(13,10)$ were reflected using the $x$-axis as the line of reflection, what would be coordinates of the image? What about $(13, \text-20)$? $(13, 570)$? Explain how you know. The point $R$ has coordinates $(3,2)$. Without graphing, predict the coordinates of the image of point $R$ if point $R$ were reflected using the $y$-axis as the line of reflection. Check your answer by finding the image of $R$ on the graph. Label the image of point $R$ as $R’$. What are the coordinates of $R’$? Suppose you reflect a point using the $y$-axis as line of reflection. How would you describe its image? The applet has instructions for the first 3 questions built into it. Move the slider marked “question” when you are ready to answer the next one. Pause before using the applet to show the transformation described in each question to predict where the new coordinates will be. Apply each of the following transformations to segment $AB$. Use the Pen tool to record the coordinates. Rotate segment $AB$ 90 degrees counterclockwise around center $B$ by moving the slider marked 0 degrees. The image of $A$ is named $C$. What are the coordinates of $C$? Rotate segment $AB$ 90 degrees counterclockwise around center $A$ by moving the slider marked 0 degrees. The image of $B$ is named $D$. What are the coordinates of $D$? Rotate segment $AB$ 90 degrees clockwise around $(0,0)$ by moving the slider marked 0 degrees. The image of $A$ is named $E$ and the image of $B$ is named $F$. What are the coordinates of $B$ and $F$? 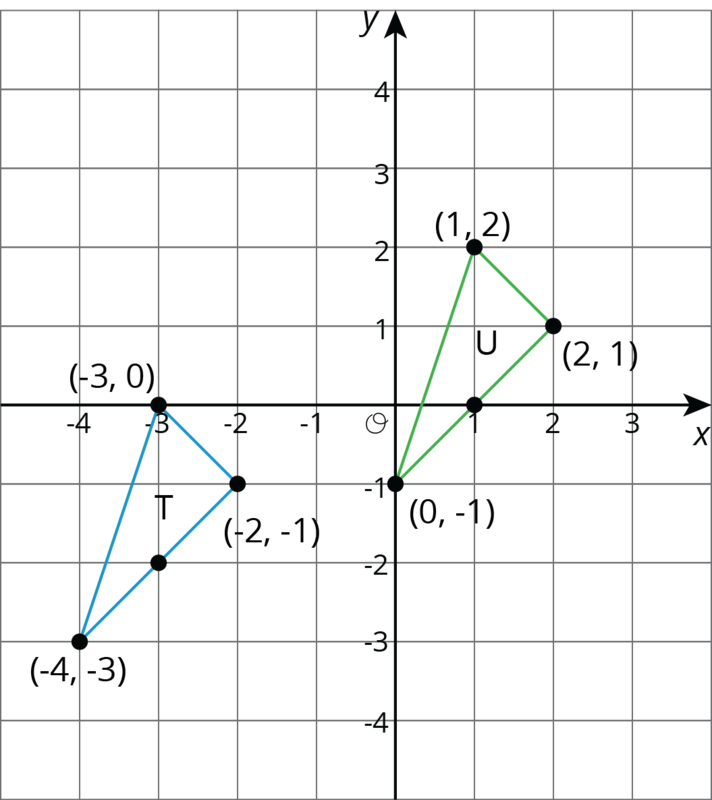 Compare the two 90-degree counterclockwise rotations of segment $AB$. What is the same about the images of these rotations? What is different? Suppose $EF$ and $GH$ are line segments of the same length. Describe a sequence of transformations that moves $EF$ to $GH$. We can use coordinates to describe points and find patterns in the coordinates of transformed points. We can describe a translation by expressing it as a sequence of horizontal and vertical translations. For example, segment $AB$ is translated right 3 and down 2. 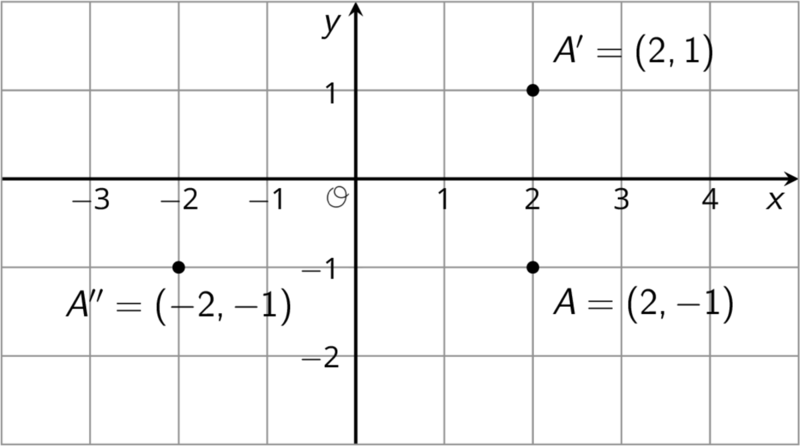 Reflecting a point across an axis changes the sign of one coordinate. For example, reflecting the point $A$ whose coordinates are $(2,\text-1)$ across the $x$-axis changes the sign of the $y$-coordinate, making its image the point $A’$ whose coordinates are $(2,1)$. Reflecting the point $A$ across the $y$-axis changes the sign of the $x$-coordinate, making the image the point $A’’$ whose coordinates are $(\text-2,\text-1)$. Reflections across other lines are more complex to describe. We don’t have the tools yet to describe rotations in terms of coordinates in general. Here is an example of a $90^\circ$ rotation with center $(0,0)$ in a counterclockwise direction. Point $A$ has coordinates $(0,0)$. Segment $AB$ was rotated $90^\circ$ counterclockwise around $A$. Point $B$ with coordinates $(2,3)$ rotates to point $B’$ whose coordinates are $(\text-3,2)$.